The number of people in Greenland is small in number. The population amounts to only 55,000, small for a country with such an enormous size. Exactly 20 percent of the populace was born outside this country. Fishing is the people's main source of income. In the hunter districts of the outer regions, the whale and seal catch is of great significance. 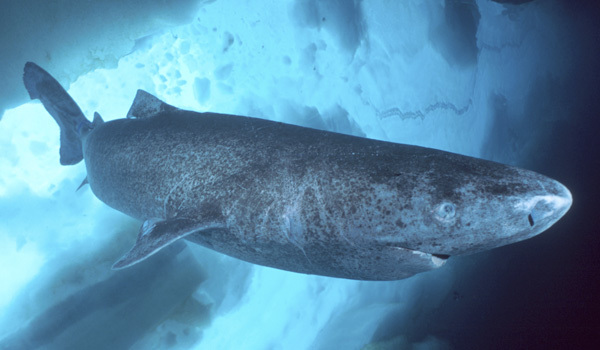 It essentially forms the constant existence for one fifth of the Greenland population. This is what makes Greenlandic people's philosophy effective: to live at one with nature. Greenland was first inhabited by Inuit people thousands of years ago. These people have settled the island constantly since the discovery. Almost 90 percent of the island's 60,000 inhabitants are Inuit people or people who partly have Inuit blood. The majority of the populace lives in nearly a dozen small towns and cities. Today, Greenland is indisputably the largest island in the world. 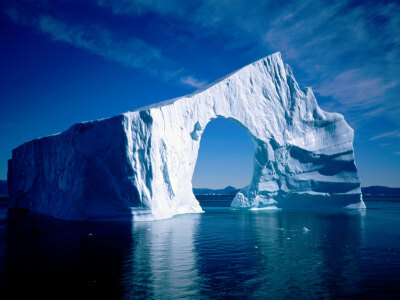 A remote country with relatively few residents, Greenland is also considered as the world's largest national park. This is why this island is also one of the world's great travel destinations. Greenland is an excellent place for people who have a passion for wilderness activities; this is a magnificent place to kayak spectacular fjords, fish for sea trout in distant waters, climb through remote mountains and ski all year round. With all of these, you can surely explore this remote area and enjoy incredible polar scenery and wildlife. Greenland is the largest island in the world, covering an area of 836,109 square miles. From its geographical location, it belongs to the North American continent. Across the Nares Channel there are just 16 miles separating northwest Greenland from Canada. Additionally, Svalbard and Iceland are 310 and 170 miles away. This country is 1,659 miles across from its farthest point north of Cape Marris Jeppup to the southernmost tip of Cape Farewell, which lies at a latitude similar to Oslo. 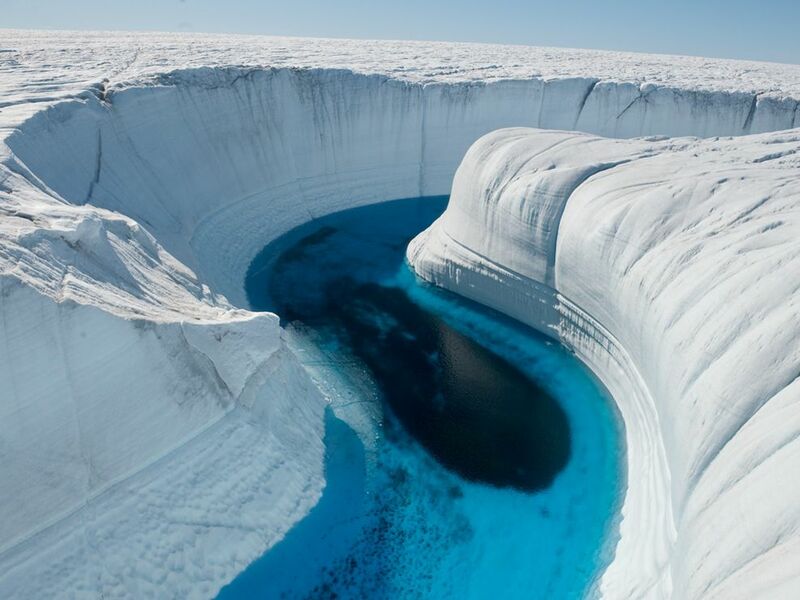 The internal icecap wraps an area of 677,676 square miles and signifies 10% of the total fresh water of the world. 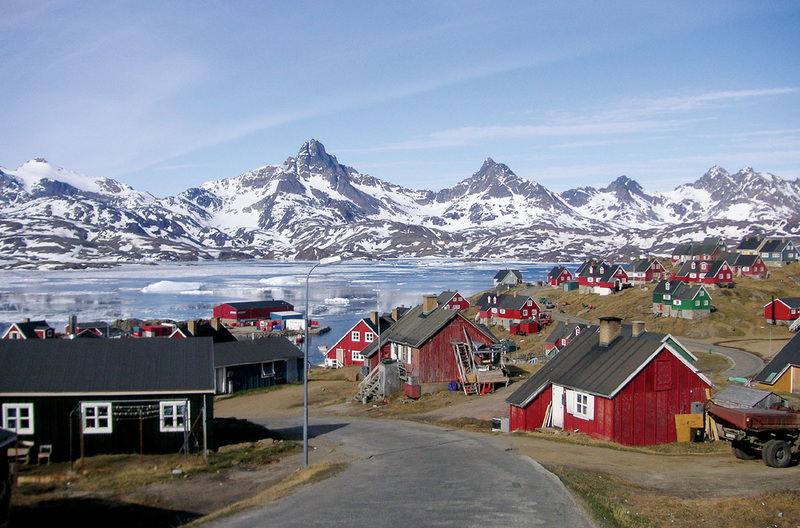 Due to its remote conditions, there are no large cities in Greenland. 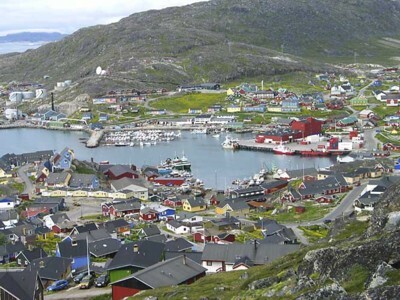 The capital of Nuuk, with a population of 17,834, is the only town with a population of more than 10,000 people. Closest behind are Sisimiut with nearly 6,000 and Ilulissat with just over 5,000 people. Greenland colonies date back to the Medieval Period and recorded documents tell a detailed story about the Norse Greenland. They tell about Greenland's politics, economy, structure, relations with Europe, the role of the church, and its native inhabitants. Recorded documents on early trading are most informative of all, providing relevant information on the rare products that Greenland alone produced; among these unique products were walrus and seal skin rope, walrus ivory, falcons, polar bear pelts, eider down, and ivory. This also included ox and sheep hides, homespun wadmal fabric, and wool. When this deal system collapsed in the fourteenth century, the Greenland colonizers also ended. The records show major changes in the manner of Greenland trade. Profits from the Greenland buy-and-sell operation were of much interest to the Catholic Church in Nidaros. However, the proprietors were the independent merchants: the Greenlanders, Icelanders, or Norwegians. By the 12th century, a small number of Greenlanders owned ocean-going vessels. Greenland's untouched beautiful terrain is covered with ice and snow consisting of spectacular glaciers. A country of rare picturesque sites offers the travelers a unique experience such as summer cruises in the midnight sun and whale watching. 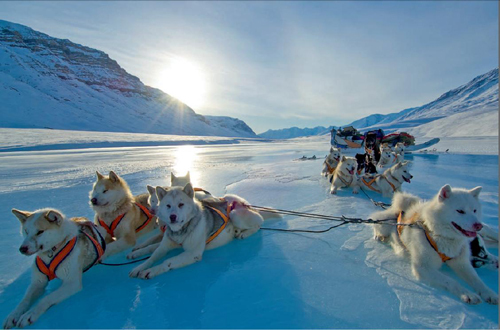 Other than that, Greenland has many winter activities to engage in such as dog sledding and northern light viewing. The excellent season for viewing the northern lights is between mid-August and late March when the air is clear and the nights are long. The northern lights actually occur all year round; however, they cannot be seen during the summer months due to the midnight sun. If you are traveling during the period of August to March, you can view the northern lights from anywhere in the country. Just imagine yourself standing on the shores of a remote Greenland fjord. It is cold, a night surrounded by a stunning arrangement of sky lights. Sheets of new ice cover the water, and icebergs float silently by on the tide. What a more beautiful sight can there be than that? Greenland is a fast-improving country that has created for itself a colorful and vibrant nightlife. It has been a major attraction for the youth of Greenland as well as for foreign tourists. This can only be felt in the urbanized towns and cities. In most major towns, there are pubs and restaurants that you can visit and experience absolute entertainment. The average price of a two- to three-course meal at a restaurant begins from US $25. In some places there are disco bars, while in others there are live bands. With these entertainment establishments, nightlife in Greenland is a colorful event that is in demand among different groups and ages. Greenland was originally settled by descendants of the present Inuit culture who called the island Kalaalit Nunaat - meaning "the land of the people." It acknowledged the name Greenland from Norse explorer Eirikur Rauoe Porvaldsson, more commonly known as Erik the Red. He cruised from Iceland to the island of Greenland in 982, and eventually spent years of farming along the southern coastline. He returned to Iceland in 986, aiming to encourage others to settle the island. He then came up with a name "Greenland." He reasoned that a pleasant name would be more likely to draw settlers. Many colonies eventually established themselves in Greenland, but some failed to survive. When it comes to cuisine, the customary food products of Greenland give the world a whole new dimension not experienced anywhere else in the world today. This exciting dining experience is waiting for any traveler who wants to try a whole new range of fish, shellfish, reindeer, and other wildlife animals like the musk oxen. The fresh, Arctic atmosphere provides extraordinary conditions in which Greenlandic wildlife and fish improved into uniquely flavored meat dishes only available on the island. Furthermore, as traditional hunters offer a lot of the food produced in Greenland by transporting the meat by dogsled through the Arctic winter landscape, Greenland's food products include a rare story, developing the dining experience anywhere. A committed attempt has been made into enhancing Greenlandic cuisine to provide the rest of the gourmet world with new and different varieties of food, suitable for the quality-conscious guests.